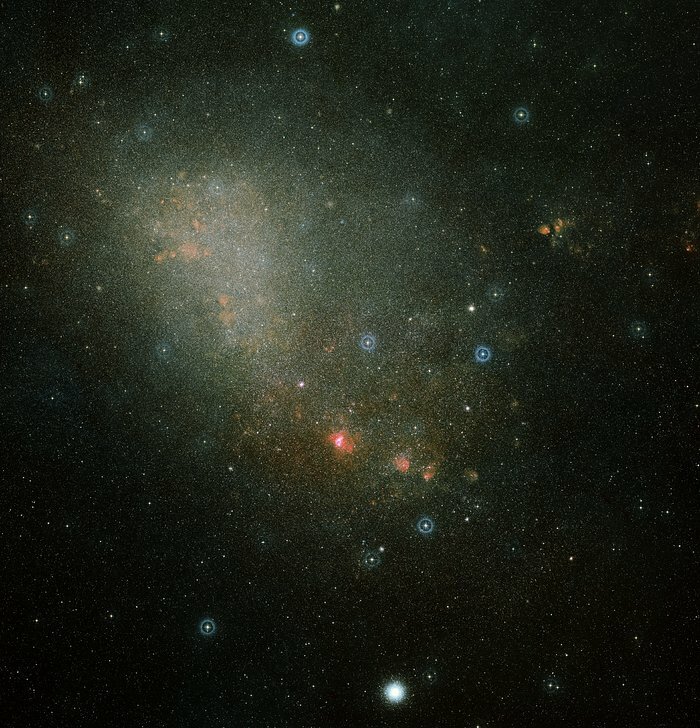 The two-colour image shows an overview of the full Small Magellanic Cloud (SMC) and was composed from two images from the Digitized Sky Survey 2. The field of view is slightly larger than 3.5›. N66 with the open star cluster NGC346 is the largest of the star-forming regions seen below the centre of the SMC. Position (Dec): -72° 34' 52.23"